You will see results when you start becoming mentally positive and optimistic about change. Remember fitness is not just a quick fix, it’s a lifestyle. You need to adapt training into your everyday routine to get long-lasting results along with a healthy diet and lifestyle. You must stay determined and focus and you will get amazing benefits! It’s ideal to train 4-6 times a week for 25-55 minutes per session. Start off doing my conditioning/toning workouts every other day and the HIIT/cardio workouts on your in-between days. Try to alternate these 4- 6 days a week. You only need to train once a day, as long as you give it all you got! If you get exhausted, sit down, breathe and continue when you are ready. You will gradually build up more stamina. How many calories do your workouts burn? This will vary from person to person depending on your body type and how much effort you put into your workout. Be sure you give it 110% and you will maximize the benefits of your workout. How can I burn belly fat? All my HIIT and Tabata workouts are excellent for burning fat. 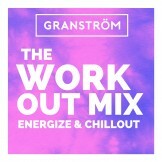 Check out the playlist on the YouTube Channel for endless workouts! And if you need a timer, you can get the one Kristen uses here. 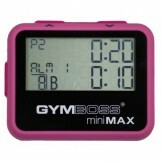 Gymboss Interval Timer. A healthy diet is something that you can maintain forever. Crash diets just don’t work; they set you back. Eating healthy is easy, just go organic if possible, then clean, lean and green. So lots of veggies, lean protein, healthy fats and complex carbs. Stay away from ready meals, packaged or processed foods, sugary sweets, chips and sugary high calorie drinks. Try to cook most of your own meals and be creative! Contact Kristen through YouTube and Facebook. Please use the contact form for store or press inquiries only. Any questions directed to Kristen via the contact page will not be answered.